Moorpark, California drivers turn to DCH Toyota of Simi Valley for used car peace of mind shopping for many reasons! Our new and used Toyota dealership has an extensive inventory of well-maintained, rigorously inspected used cars for sale, so don't hesitate to visit us in Simi Valley today. Our Toyota sales department will listen to your needs, introduce you to a range of pre-owned models that fulfill your search requirements and go over any financing packages you can put to use! Note: OEM program benefits differ for each manufacturer. For a complete list of OEM Certified benefits please consult the manufacturer website or your DCH Dealer. 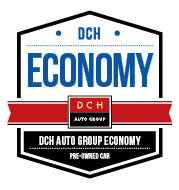 Does not apply to DCH Economy Pre-Owned Vehicles. Our new and used Toyota dealership is so confident in our pre-owned inventory that we boast a 3-day money back offer so you can shop confidently. We want our buyers to be 100% satisfied with their purchase and understand that it can be difficult to determine if a ride will stand up to your needs during a test drive. When you're ready for peace of mind used Toyota RAV4 shopping, visit DCH Toyota of Simi Valley. Our used vehicles come with a 90-day Limited Vehicle Warranty, and we invite our Thousand Oaks, CA neighbors to get in touch with our team to learn more. Reach out about the pre-owned Camry that has caught your eye; we'll go over everything the warranty covers and will get you set up for an exciting test drive. To ensure each and every used car that enters our dealership stands up to our strict requirements of safety, reliability and quality, it must pass a rigorous 125-point inspection process*; only then can it earn our stamp of approval! Don't hesitate to get in touch with us to learn more about our used car inspections and be sure to ask about the year of roadside assistance you'll also get to enjoy when you purchase a used car from our dealership! As your local Toyota dealer, we offer selections for drivers of all financial backgrounds and budgets, and because we base our rates on Kelley Blue Book, you can rest assured you're viewing the competitive, fair price that you deserve. We'll take the time to learn more about your needs so that we can find the vehicle that suits your requirements, and can even go over the sub-prime auto loans we offer drivers that have financial mishaps on their credit report. 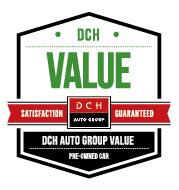 While other dealerships may offer some of these benefits to buyers, we are proud to offer our customers the most in terms of value, peace of mind, and an outstanding buying experience with every pre-owned vehicle purchase. 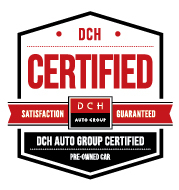 When you're ready for a driver-centric used car shopping experience that offers the peace of mind, you're ready to team up with DCH Toyota of Simi Valley! DCH representatives will be happy to explain the details of these programs and answer all of your questions.